1. Please key into the graphics on Report #3 allowing the enlarged pictures to explode into life for you. A whole new dynamic meaning. 2. All your responses are being read daily and evaluated. Many cases are so cogent of the reality of our times. As such, our thinking is focused and flexible policies will be interjected. 3. Although the Major Capital Principle from the PPs will not be placed at risk and only profits accrued used, our London Trusts are able to forward trade quickly and will be looking to start early. They are the key Think Tank and Nation Building Coordinators, with the necessary relationships and powers to make a difference. To us, serving the nations is a privilege, not a right, and one to undertake humbly. Tremendous response from all of you.Thank you to both sites. America has lost the economic Leaders battle, so now must focus on the Intellectual one. China will overtake and surpass America as the world’s economic Superpower by next year. Only months now. So much for 10 year projections. The US is woefully unprepared for the next steps unfolding now. Washington is clueless. Brzezinski, Kissinger and the Rockefellers have lost the plot and your pot. The Tri Laterals are now a Tri-Decker bust flush. They have lost the Global Chess game. The Hegemony Masters are being defeated by stronger willed nations with more able leaders. The world has had it with the Cabal which is now globally evident to all. But Americans of good ethics and values also exist here. So don’t let them risk a good people for Political losers and Zionist Banking Weasels. America has lost supremacy, and far worse, with such low class Political mediocrities in power, its way. No thanks to Tri Lateral Numpties. But America still has great capacity to be so much more. Now is the time for America to look inwards, to focus on its real strengths, and to lead from there. No more tired old men with their NWO Fourth Reich failed strategies. cockpit. The open rivets are are also bent outward. This has many pages of info included, see link at bottom of the article. While not forgetting the ongoing massacre in Gaza.. Very, very important information here…. The government allows certain things to happen because it wants these things to happen. Don’t miss a word… but pay close attention at 6:40….at 7:49 and especially from 9:10 through the end. 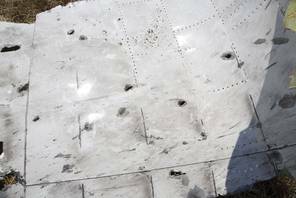 Moscow, Russia is deflecting responsibility for the deadly MH 17 shoot down. case of the Malaysian jetliner? approached the Malaysian airliner prior to its downing. Ukrainian military jet is confirmed by the Rostov monitoring center. like a person with anything to hide. to stop the bloodshed immediately and to sit down at the negotiating table. own people” or the endless lies about “Iranian nukes”? that Assad crossed the “red line” by using chemical weapons. However, Kerry was never able to back up his statements with evidence. satellite photos do not support Kerry’s claim. by both the US government and the presstitute media. McCain. In place of direct lies, many US officials use insinuations. tell us whether you meant to or whether it was an accident. downing of the airliner was a Washington operation. mistakenly downed a civilian airliner. 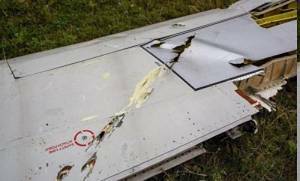 transponders from MH-17 are found, they might record the contact. and directed it to fly over the conflict area. on the part of Kiev, an act which would have required Washington’s blessing. extremists who apparently were the first to attack the separatists. EU to go along with Washington’s unilateral sanctions against Russia. political ties between Russia and Europe. implementing the plot resulted in the destruction of a civilian airliner. why did Washington hide behind lies? orchestrating wars in order to further hidden agendas. complicit in the executive branch’s war crimes. is complicit in Israel’s war crimes. United States and Israel did not exist? The most asked question is “what about the passengers who boarded MH17.”? Answer: Obviously, with the doctors claiming to have DNA identified the passengers on day two which is days too soon because you need two samples to identify anyone – one from before the passenger boarded which would be gathered from the home and one of the passenger, to match to the passenger, that statement is patently false because it could not be done that quickly and if they had to say that and were willing to this early on, they are lying about everything and it then becomes obvious that perhaps NONE of the stated passengers were aboard. Military commanders confirmed that a large portion of the bodies in the wreckage were rotten, drained of blood and dead for days before the plane even took off. HOW DO YOU EXPLAIN THAT ANOMALY WITH A RATIONAL BRAIN? Well, Rense said they were in the cargo hold and regular passengers were in the cabin, but that is a dubious claim when the air in the cargo hold of a 777 (which is pressurized) gets circulated through the main cabin as well as a normal matter of course which would have stunk so bad NO ONE would ever board, there were TONS of sparkly new passports and not a single used one, and “everyone was already DNA identified on DAY TWO” which would be flatly impossible.